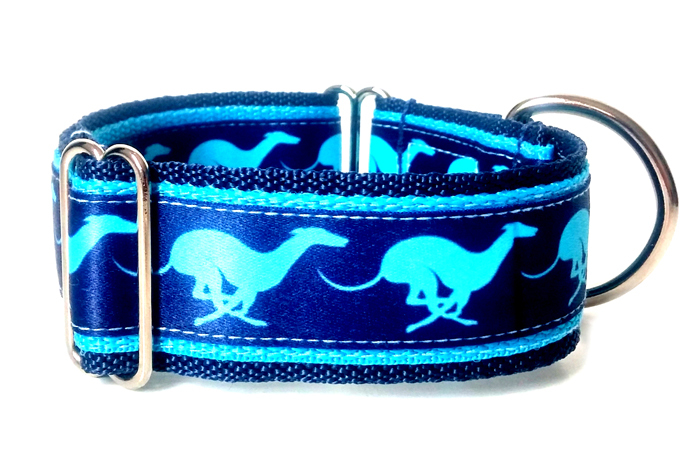 Colourful, playful waggish dog collars, which stir up the everydays. You may have either a male or a female dog, you will surely find a congenial dog collar for it. The Bol-Dog dog collars are made of carefully chosen, high quality material. The metal parts are welded, the buckle is definitely hard wearing, which is made of very durable plastic intended for military use. The decoration of the dog collar ribbon is made on the basis of our ideas, plans and conceptions. The patterns go on a strong webbing. This makes the basis and toughness of the dog collar. The collars can be washed at low temperature (laundry bags are recommended because of the metal) or rinsed in warm, soapy water. It is easy to put on and take off the dog with the help of the buckle. 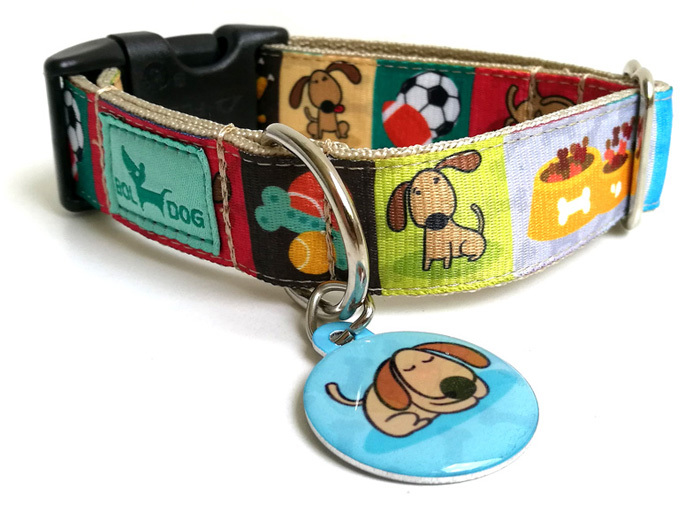 It is specially designed for dogs, made of good quality, strong curved buckle. It is an ideal choice for each dog size. This type does not unclasp, so it cannot come off the neck of the dog. It has to be slipped through the head of the dog, and the tightness can be adjusted with the help of a slider. When choosing a size, consider that the dog's head is wider than its neck, so it is not unreasonable to weigh the widest point of your head to make sure the size is the right one. I recommend it for small and medium sized short haired dogs, which do not pull and tug. We can call it half-choke leash as well, as with the help of the slider you can adjust the choking rate. It also has to be slipped through the head of the dog. This dog leash cannot unclasp either. I recommend it for medium and big sized dogs, mostly in wider design.